I am always exploring the differences and similarities between two cultures and societies and have observed that in the United States there is design thinking for everything. Everything is available for the people. 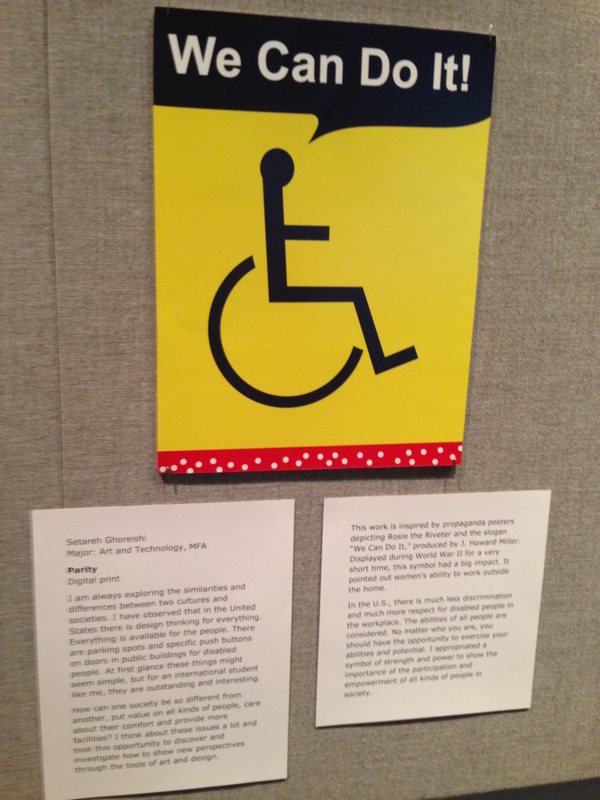 For example, there are parking spots and specific push buttons on doors in public buildings for disabled people. At first glance, these things might seem simple, but for an international student like me, they are very outstanding and interesting. How can one society is so different from another, put value on all kinds of people, care about their comfort and provide more facilities? I think about these issues a lot and took this opportunity to discover and investigate how to show new perspectives through the tools of art and design. This work is inspired by propaganda posters depicting Rosie the Riveter and the slogan “We Can Do It,” produced by J. Howard Miller. Displayed during World War II for a very short time, this symbol had a big impact. The posters pointed out women’s ability to work outside the home. 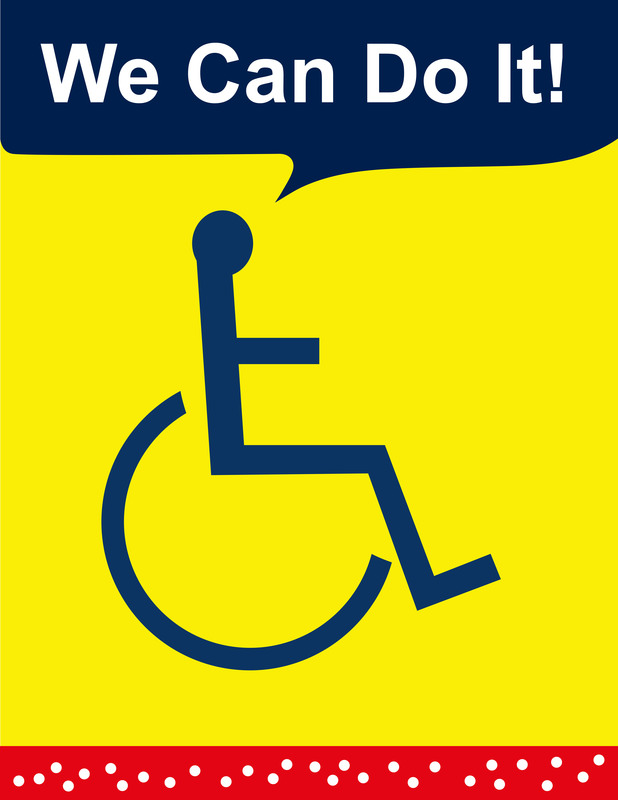 In the U.S., there is much less discrimination and much more respect for disabled people in the workplace. The abilities of all people are considered. No matter who you are, you should have the opportunity to exercise your abilities and potential. This work appropriates symbols of strength and power to show the importance of the participation and empowerment of all kinds of people in society.